Check out Motherhood on a Dime! Hey there, bargain hunters! It's been awhile. Will you come check out Motherhood on a Dime, a blog dedicated to finding bargains and balance? I'll be contributing deals there, alongside my friend, Stacie! Click HERE to check out the daily deal at Groupon!!! Click HERE to see what 417 Magazine is offering at a discount today! 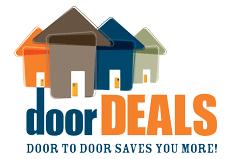 Don't forget to check out 1/2 Price Ozarks.com HERE for a new deal each day! Check out Living Social's daily deal HERE! Coupons.com has added new coupons as well as reset the old ones! Click HERE to start printing! Don't forget you can print your favorites twice! Usually these printable coupon sites reset as well! Fire up the printer! 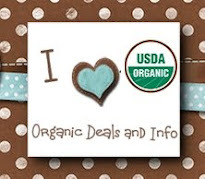 Here are a few of the newest organic or natural printable coupons available on the web! ~Check out all the organic printables available over at Mambo Sprouts too! When you become a fan of the NeilMed Facebook page, you can get a FREE Neti Pot! These work wonders for sinus infections! Homemade Cleaner Recipes: Laundry Detergent and Multipurpose Cleaners! I've been busy making homemade cleaners and would love to share some of my recipes with you. After our family switched to a more organic eating diet, I dug deeper and found that toxins enter our bodies in three ways; through our food, the air, and our skin. The chemicals in cleaners have many harmful effects on our bodies, and particularly on sensitive and developing children's bodies, but especially on babies in the womb. These toxins can lead to things from developmental disabilities to cancer. HERE's an article if you'd like to know more. It's sad that I used to think my home was clean if the air was filled with chemicals, but have found many alternatives that work just as well! The following recipes are also very frugal, costing way less than than the cleaners I used to buy, even after coupons. Organic food costs more, so here's one way to fit a healthier lifestyle into your budget. Save on cleaning supplies! 1 bar of soap- I used a natural option called Dr Broomers scented with lavender, but you can also use Fels Napa or Ivory. Grate soap and mix all ingredients. For a light load, use 1 tablespoon or for heavy or heavily soiled load, use 2 tablespoons. This recipe makes three cups of detergent or approximately 40 loads. I haven't done the exact math because there's so much left in the boxes to make more, but others have figured the costs and it comes to around $.05 per load! * HERE's a liquid recipe as well! Mix and clean! You can clean nearly everything with this! HERE's a more specific list us uses. * Hydrogen peroxide is the key to this cleaner. Hydrogen peroxide has stronger cleaning capabilities than vinegar (doesn't smell :) and works much like bleach, just without any harmful health or environmental effects. You can also add about half a cup of this mix into laundry water to whiten clothes. The acidic lemon juice helps break down grime and adds a fresh citrus scent. Mix and clean! Click HERE to read 27 ways to clean with baking soda! You can add essential oils to any of these cleaners. My family loves the spearmint scent, which also gives a calming and uplifting effect...nice perk to cleaning time! I picked this bottle up at a local natural food store. Interested in making more cleaners? There are twenty five recipes HERE! If your interested in taking your little ones to a blueberry patch to pick fresh berries that have not been treated with any chemicals, including the soil, head out to Pappy's Pickin Patch! There's more info on their Facebook page HERE. You can pick a heaping gallon of blueberries for only $17 and eat as many as you'd like as you pick! *Be sure to check all the deals on the side too! I picked up a 3-pack of gift boxes at the dollar store, making them only $.33 each. They were personalized by my little ones! I also found these wooden frames at the dollar store. We used paint from home to make Father's Day trees and are using the freebie cards I posted about a couple weeks ago. Total comes to $1.33 per gift! A frugal way to make the men in our family feel special on Father's Day! Local Tip: Where I Get My Organic Milk! If you've thought about switching to organic foods and have done your research, you'll find switching your dairy is of top priority! I just wanted to share contact info with a local farm to all my local readers! Each week, Diane Allen travels to Springfield from a nearby local farm to deliver 1/2 gallon jars of milk for only $2. Her Holstein cows graze year round and are antibiotic, hormone, and pesticide free! You can even set up a time to visit her grade A barn. Contact Diane at jimmiea@wildblue.net if your interested! If your little ones are like mine, they are super busy, which means they are also always super hungry! When on a budget and trying to feed your little ones healthy organic snacks, you have to be picky! I find nutritious, filling snacks in bulk. You can even have portions in baggies that they can grab! I like to have these ready for when we head out the door because my little ones are ALWAYS hungry in the car and I avoid drive thrus as much as possible! What to eat became an issue at our house, so now my boys have this handy list on the fridge to pick from. These are the things I keep stocked, with an extra blank for anything extra we have on hand. Slide this in a protective sleeve and write the extra snack in with an Expo marker, which can be erased and changed! One of our favorite snacks to make, especially for family movie night, is popcorn! Have you read the ingredients on the bagged microwave popcorn? Artificial eww! We have a Worly Pop and use organic oil and popcorn topped with organic butter and sea salt for the perfect filling snack that is super frugal! 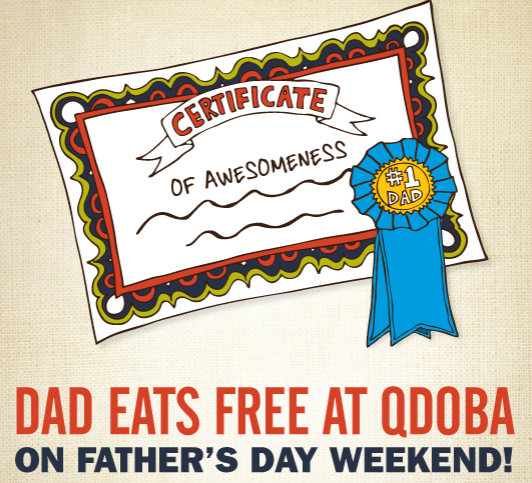 Check your email for the Father's Day Qdoba reward! It's a BOGO! 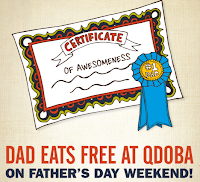 Haven't signed up for Qdoba rewards yet? Do it HERE! You'll get free chips and salsa along with other perks when you sign up! I've learned one the tricks to organic couponing is knowing the brands that carry both organic and nonorganic food, so when the coupon comes out, it may not say organic on it, but you can use it! For example, use the $.50/1 Driscoll berry coupon below on organic berries! The coupon states "any Driscoll product." Printable coupon: $.50/1 Driscoll Berries (Like on Facebook and then click on rewards. Enter your email and address and the coupon will be in your inbox!) This coupon makes organic strawberries $1.99 at Dillons this week! Seriously, just try them organic once....you will not believe what an organic strawberry tastes like...they are amazing! I also keep an eye out for Seattle's Best coffee and Marzetti salad dressing just to name a couple brands that carry organic options. How about you? 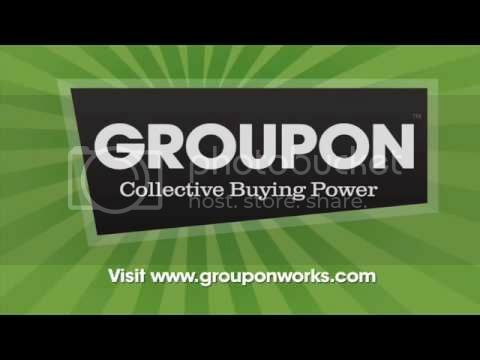 What are brands you keep an eye out for with the wording "any" when searching for organic coupons? 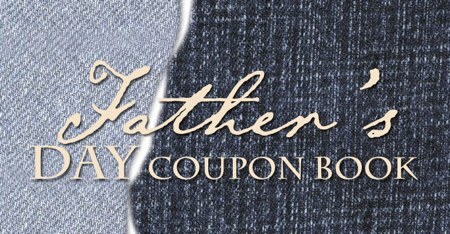 Head over to the blog, Balancing Beauty with Bedlam, to print a free Father's Day Coupon Book! If your on a tight budget, but still want to do something special for your hubby, or just are in search of a little addition, this may be the perfect gift to celebrate Father's Day with! Two Fandago Movie Tickets for $4 @ Living Social! 1. Sign up for Living Social HERE! You will get $5 credited to your account and so will I when you sing up through this link! Simply enter your email address and then sign up. It's like five questions...super quick and easy. 2. After your signed up, click HERE to go to the Fandago Deal. 3. Enjoy a cheap date at the movies! Heading out to dinner this weekend? Check out these local (Springfield, MO) restaurant coupons! These are extras of the freebies you get on your door or in your mailbox! Click HERE to print free coupons from MoneySaver! Click HERE to check it out the free printables available from Door Deals! Use the code TASTY to get a good deal on Restaurant.com! Quiznos- Four Free Printable Coupons! Have you thought about eating more organic foods but are trying to figure out how to possibly fit the extra expense into your budget? Laura, over at Heavenly Homemakers is currently writing a series titled "Should I Eat Organic?" that has some great tips and info. Part One Is it worth it? Heavenly Homemakers is FULL of great info and is fun to read. The series on Journey to Healthy Eating inspired me so much to change the way my family eats. Click around on some the Healthy Eating link ups and enjoy a wealth of info. I have tried tons of her recipes and they are amazing! I saw a commercial last night for a Michael Buble ticket giveaway and just had to check it out! I was super excited to find that on the contest page, there is a coupon to Houlihan's! You can either print the page or show it on your phone to get one free small plate up to $8 off! This coupon expires June 15th. Now to win some Buble tickets!!! Click HERE to check it out!